Year after year, portable aluminum bleachers serve facility managers and spectators alike by being the most economical, popular and functional choice whenever additional seating capacity is needed. Parades: Everybody loves a parade, but no one likes hauling a lot of stuff around like a pack mule. Along parade routes, where the seating is usually the bring-your-own folding camp chairs or pull-behind large coolers on wheels, it’s a welcome sight for spectators to see portable aluminum bleachers available for their convenience. Portable bleachers are the no-hassle way to provide seating for parade goers to sit, rest, relax and enjoy the festivities of the day. Portable aluminum bleachers are also available in different capacity and tiered configurations, offering better sightlines and viewing options without having to fight the tight, congested crowds to get a better view. With all those folding chairs and coolers, problems can arise. 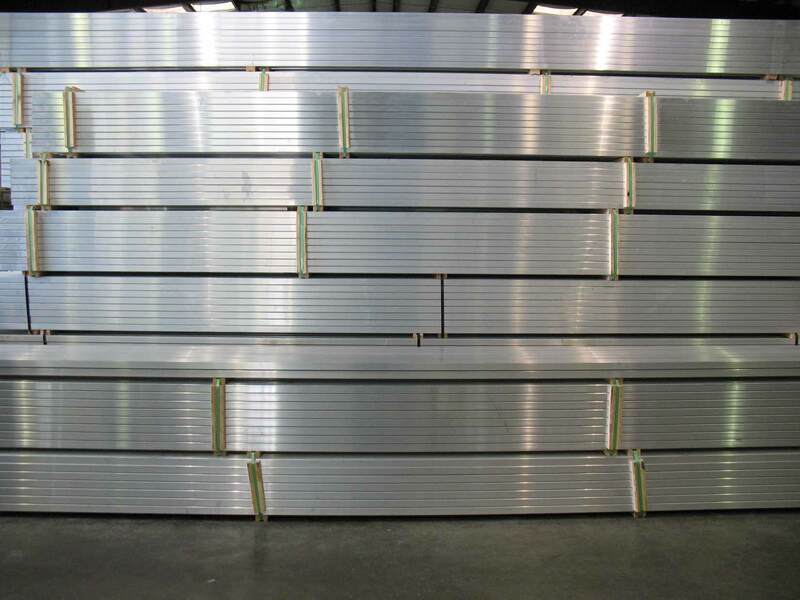 It’s best to use organized seating that these movable aluminum bleachers provide. Tournaments: You want to host a tournament, but you’ll need to set up multiple temporary fields. You may be able to set those fields up on your own site, or you may get permits to use public parks and fields, but you know that they won’t be set up for your tournament activities. With the use of portable aluminum bleachers, those same spaces can be transformed into fields meeting your exact needs, complete with available spectator seating. And by offering seating, you have the opportunity to attract more spectators to come, hang around and stay for longer periods of time. It’s a convenience issue for visitors. It’s an act of planning and preparation from you. Fairs: Does your state host an annual state fair? How about your county? Portable, transportable aluminum bleachers help direct visitors to the areas that you want them to congregate and sit in. Rather than those visitors randomly laying blankets on the ground or setting up chairs along the paths that are to be used for travel throughout the fair, the portable bleachers will let them know where the designated seating areas are for the viewing. Traffic flow will be more efficient and less confusing. For large open spaces, these portable bleachers can be moved to a different location or storage area once the fair is over. Very effective use of seating. Rodeos: Bronc riders travel across the country. When you’re hosting a rodeo, make sure you’re ready for the spectators with portable, transportable aluminum bleachers. When the venue doesn’t provide seating, or doesn’t have enough seating, portable aluminum bleachers are efficient, safe, and customizable for catching every second of the fast-paced action. Unlike the rodeo participants, the spectators need a safe and comfortable place to sit for more than 8 seconds. Concerts: Additional seating at your concerts mean additional fans bringing additional ticket revenue, and that’s music to your ears. Many concerts are held in sports or multi-use venues. Customize that space by adding portable aluminum bleachers that are closer to the stage. The spectators won’t have to stand the whole time, so the experience will be less stressful, more organized, and more enjoyable. Special Events: Sometimes you just need a little extra seating capacity. Special speakers, conference seating, big games that include rivalries, playoffs and championships all will draw bigger crowds from greater distances. Portable aluminum bleachers offer the extra safe, secure seating that these types of events and games demand. Plan ahead to ensure enjoyable visitor experiences by making sure everyone who wants to attend has a safe, comfortable and convenient place to view the action or event on the field. 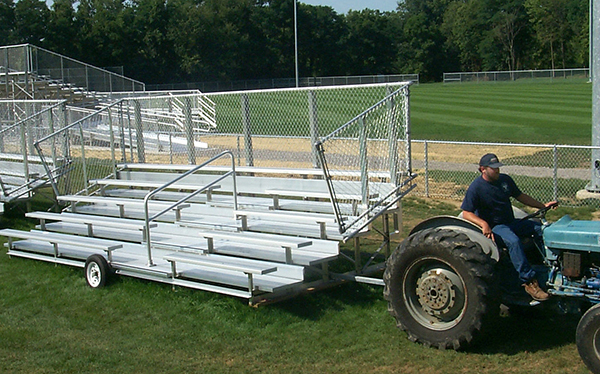 As a facility manager, you don’t have to search too hard to notice the benefits of using portable bleachers. Portable bleacher seating, whether needed for regularly scheduled, seasonal sports or only used for convenient, extra capacity seating at concerts, presentations, conferences and public events, provides necessary crowd control with minimal disruptions. Portable aluminum bleachers are easy to install and use, with a bonus benefit of being shareable, able to be transported between locations when the need arises. When there simply isn’t a need for additional seating, the bleachers can be broken down and stored on site for quick accessibility. When needed, portable bleachers can be assembled directly at the location where they are needed, then moved for other events throughout the event timeline. If your seating requirements have big peaks and valleys during the year due to seasonal events, unpredictable fanbases, or just a wide range of the types of events hosted, you may be able to reduce your fixed seat capacity to a more modest and manageable amount and increase the amount of portable bleacher seating to better manage and configure the seating configuration to the event. This will also free up space previously used for fixed seating structures for use in other ways. Portable aluminum bleachers have the versatility to be used indoors or outside, and are safe and comfortable no matter if placed on the ground outside or on the inside gym floor. Quality portable aluminum bleachers will come supplied with the necessary components such as tow kits needed to move, set up and use them. They’ll have heavy-duty steel braces, both horizontal and cross, for lifting and support, and contain vendor verified wheels with an integrated hydraulic jack. This means no guessing or added costs on your part to get your portable bleachers up, in place and ready to use. Seating like-minded people together with similar interests builds enthusiasm, increases group excitement and cheering, and makes the event more enjoyable for the crowd as well as the participants. Spectators for participating teams can sit together instead of meandering around a venue wondering if they are in the right spot. Using portable bleachers for local, family-friendly events builds neighborhood and community relationships while neighbors can get to know one another in a group atmosphere. Controlling and managing crowds is easier with portable aluminum bleachers installed in the location of your choice. When spectators gravitate towards the areas that you designate as appropriate gathering spaces, there will be less chance for crowd interference, injury because of being too close to the action, or congestion in traffic flow areas. Spectators generally move towards convenience. Portable aluminum bleachers offer crowd manageability, better sightlines, more enjoyable social interaction and community bonding, and a place to comfortably and safely sit that is off of the ground and among others who share a common interest and goal. While making the viewing experience more enjoyable for your spectators and visitors, make it easier on yourself by acquiring the properly rated tow kit in order to more easily move your portable aluminum bleachers around between venues and fields as needed. Anything less will be putting yourself, your field and maintenance crew, and your visitors in a potentially uncomfortable situation.